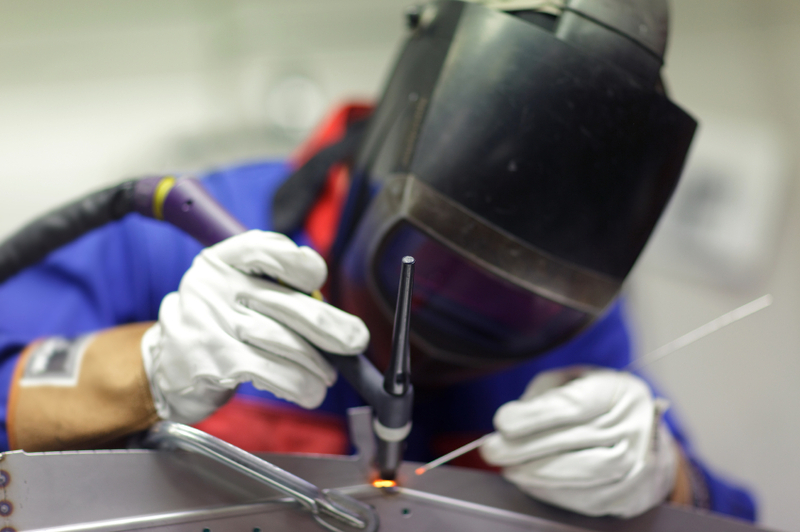 MIG wielding is also known as GMAW (Gas, Metal Arc Welding.) In this process, a thin wire is used as an electrode and filler fed by a wire feeder. The power to the weld is normally constant DC but can be AC as well. The wire is fed via from a roll wire feeder. TIG welding is very versatile and produces the top quality of welds. It also takes considerable practice and is less productive. Tig is the primary method of welding aluminum. TIG uses a torch with a tungsten electrode. Argon is used as a shielding gas to protect weld and tungsten. An arc is struck between the tungsten and the work and a short gap is maintained. As the weld continues, filler wire is added to the weld pool. The power source depends on the metal used. TIG can do just about any metal with AC and a DC power source. DC is used on ferrous metals (steels.) AC is used on aluminum. Stick welding is also known as shielded metal arc welding. It is a manual arc welding process that uses a consumable electrode covered with a flux to lay in the weld.